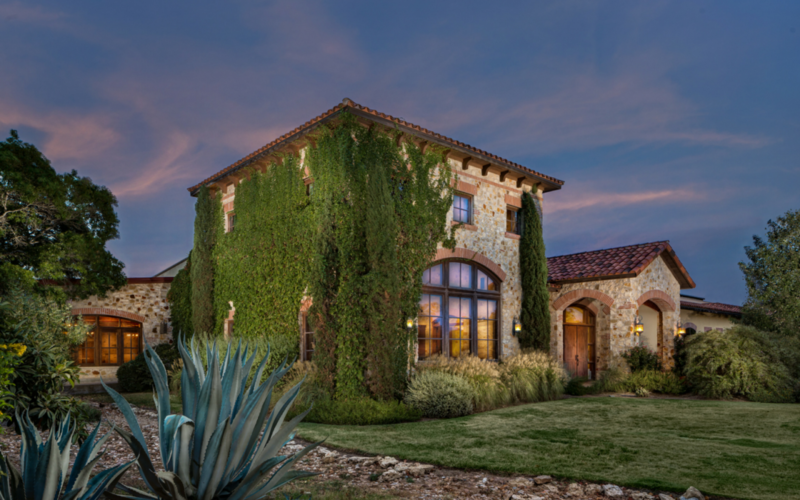 HILL COUNTRY, TEXAS, October 2, 2015 – With the 2015 record harvest nearing its end, Texas Fine Wine wants to celebrate the banner year of good fortune and grapes with a special dinner featuring new releases as well as old favorites.On Friday, October 23, guests will enjoy a four-course Texas Fine Wine celebration dinner at Duchman Family Winery in Driftwood, pairing each course with wines from Bending Branch Winery, Brennan Vineyards, Duchman Family Winery and Pedernales Cellars. Featured wines at the second annual Texas Fine Wine Dinner include the Bending Branch 2012 Texas Tannat®, Brennan 2014 Mourvèdre Dry Rosé, Duchman 2012 Aglianico and the Pedernales 2012 Texas Valhalla. The four Texas Fine Wine wineries also have released new wines, perfect for saluting Texas Wine Month and to kick off the holiday season. Bending Branch releases its 2014 Riven Rock Vineyard Viognier ($34 retail, winery only), which was aged nine months in 100 percent neutral white oak barrel with lees stirring, giving it creaminess while maintaining acidity. The wine is a great compliment to rich holiday foods like cheeses, squashes, and turkey. The winery also announces its 2012 Estate Cuvée ($50, winery only), a unique blend of Aglianico, Cabernet Sauvignon, Malbec, Mourvedre, Petite Sirah, and Tempranillo that expresses a true sense of place from the estate in Comfort. Bending Branch Winery also has released its 2012 Newsom Vineyards Cabernet Sauvignon ($32, winery only). The wine is the highly anticipated successor to the 2010 vintage that was awarded a Double Gold Medal at the 2013 San Francisco International Wine Competition. It offers intense red berry flavors and a long finish that pairs with steak and grilled meats. Brennan Vineyards announces its 2013 Texas Tempranillo ($28 retail), which recently won a Double Gold (unanimous gold) at the prestigious San Francisco International Wine Competition. A bold, full-bodied Tempranillo with notes of boysenberry and black berries with enticing aromas of violets, pipe tobacco, and cigar box, this vintage is made from Tempranillo sourced from Nubbin Ridge Vineyards and Cottonwood Springs Vineyards in Cross Plains, Texas. Brennan Vineyards has also released its 4.0 Cellars Mourvèdre 2013 ($24 retail, winery only). This lighter bodied red wine pairs perfectly with cool fall nights and holiday gatherings. Duchman Family Winery introduces its new Progression label, which will be wines hand-selected by winemaker Dave Reilly as examples of the very best Duchman has to offer. Each wine will be comprised of the finest fruit from only the best vintages and showcase the winemaking style that has become the signature of Duchman Family Winery. The first bottling in the Progression program is a blend of Aglianico and Montepulciano from Oswald Vineyards in the Texas High Plains. The wine balances the power of Aglianico with the elegance of Montepulciano, creating a blend with unique depth and character. Pedernales Cellars announces its 2012 Texas Valhalla ($39.99 retail, winery only), a medium-bodied blend of Tempranillo, Montepulciano, and Aglianico, with notes of plum and strawberry with subtle spicy pepper notes and hints of chocolate. The Stonewall-based winery also has released its 2013 Kuhlken Vineyards Reserve ($69.99 retail, Wine Club only), a blend of Tempranillo, Touriga, Tinta Amarella and Syrah. The wine has dark cherry, plum and roasted hazelnut aromas with earthy and spicy notes. For the holidays, the winery also releases its NV Stonewall Glögg ($19.99 retail, winery only starting Oct. 24), a traditional Swedish fortified, spiced wine. For more information and to order tickets to the October 23 Texas Fine Wine celebration dinner, go to http://us8.campaign-archive1.com/?u=2c084090f4b065a61d5cf7061&id=7c653edb2f.